Sometimes if we are confused about an issue or decision, we are not connecting and listening to what the heart saying and then give equal time to the brain. Usually both start tryng to communicate and the emotions increase. To sit in the space and connect you ones heart like have a conversation of ones heart sitting across from you and you give 100 percent of you attend to that part of you. The heart would speak from genuine feeling and authenticity, in the present. Then if you sat across from the the mind and listened to it fullly, you would hear the mind speaks from opinions, fears, shoulds and shouldn’ts. It would be like two different people talking about the same issue. If you did the back and forth with the heart and brain separately, you would realize the heart’s voice was your true self, a voice that offered both more intuition and common sense illelligence. It’s fascinating is that the heart contains a little brain in it’s own right. Our heart contains 40,000 neurons that can sense, feel, learn to remember. The heart brain send messages to the head brain about how the body feels and more. 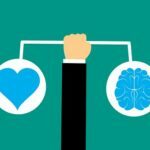 We now know that the heart can speak to and influence the brain is when the heart is neutral and in balance and has great clarity, intuitive ability, including better decision-making. 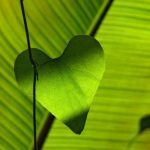 The brain and heart are always in constant communication, we can intentionally direct our heart to communicate to our brain and body in benefical ways. You can shift into this coherent state to bring your mind and heart into harmoniuous alignment and have more access to intuition often in less thatn a minute. Heart Math “Freeze Frame” decision technique. When there is an issue causing you stress, write down what you’ve been thinking and feeling about it. In that state, ask yourself what would be a more effective response to this situation, one that will minimize future stress. Listen for what your heart has to say. Notice the first feelings and sensations that come to you. Perhaps it’s offering a new insight you need, or is saying let go or be patient? Write down what your heart says, even if it seems to simplistic. Now compare what you wrote in #1 with what your heart said. Which feels better to you? Which has more ease, flow or common sense? Often what blows people’s minds is the head saying what seems to be rational arguments that keep the emotions churning, but the hearts wisdom is so clear and releasing and simply feels right. In comparing what you write in #1 and #5 people often find the heart more intelligent; the mind more emotional, irrational. The a conflict between the heart and the brain, follow your heart. One smile is sufficient to fall in love, and one word is enough to break the heart. I will be offering 30 min sessions for $30. The sessions I will be doing are Indian Head, Angel Card Readings, Yuen/Personal Transformation, and Akashic Record Reading sessions. Stop by to put your name in for a draw for either Detox Foot Bath or Indian Head Massage and receive a $20 gift card towards any regular price service of mine. Check out January newsletter as well as service page for more info on new service Akashic Record Reading. Hope to see you there!!! !